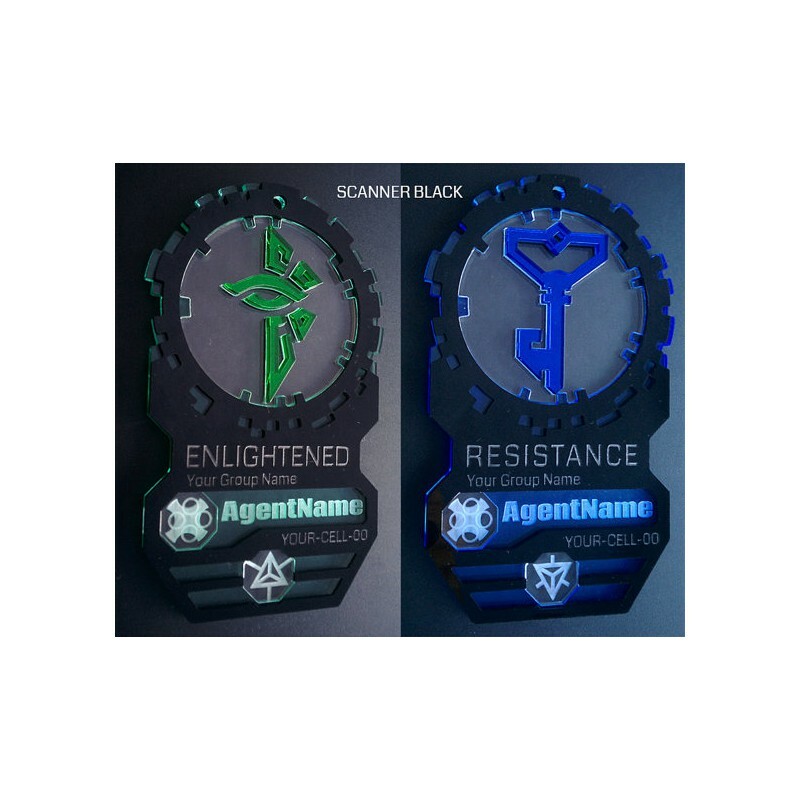 Ingress Agent Badge ver. 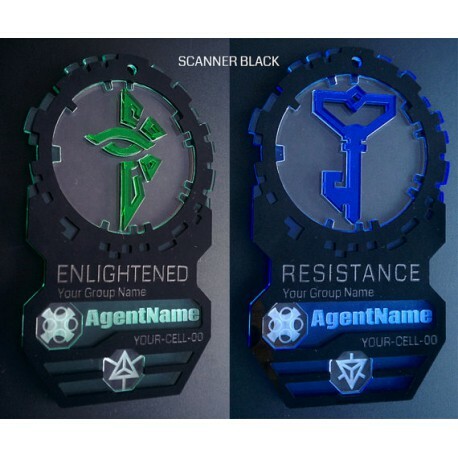 1 - Ingress Shop 3RD Faction: Buy Ingress Items Legal! 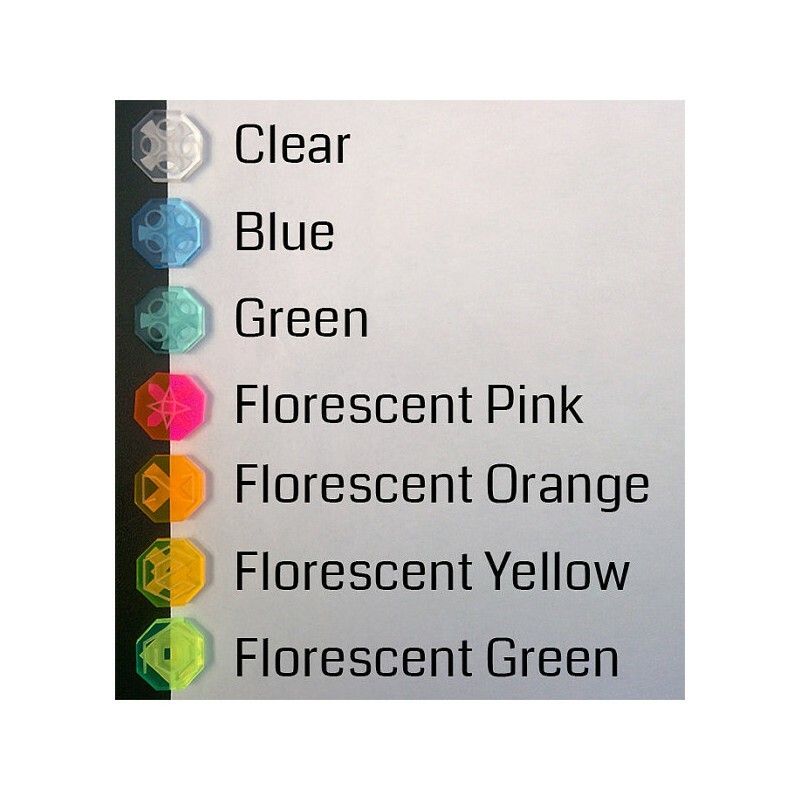 The Scanner badges are 5 1/2" Tall x 3" wide and have a 3/16" circular hole in the top for a lanyard clip (lanyard not included). WHEN YOU ORDER, please copy and paste the list below and include your custom information in the "Notes" area. 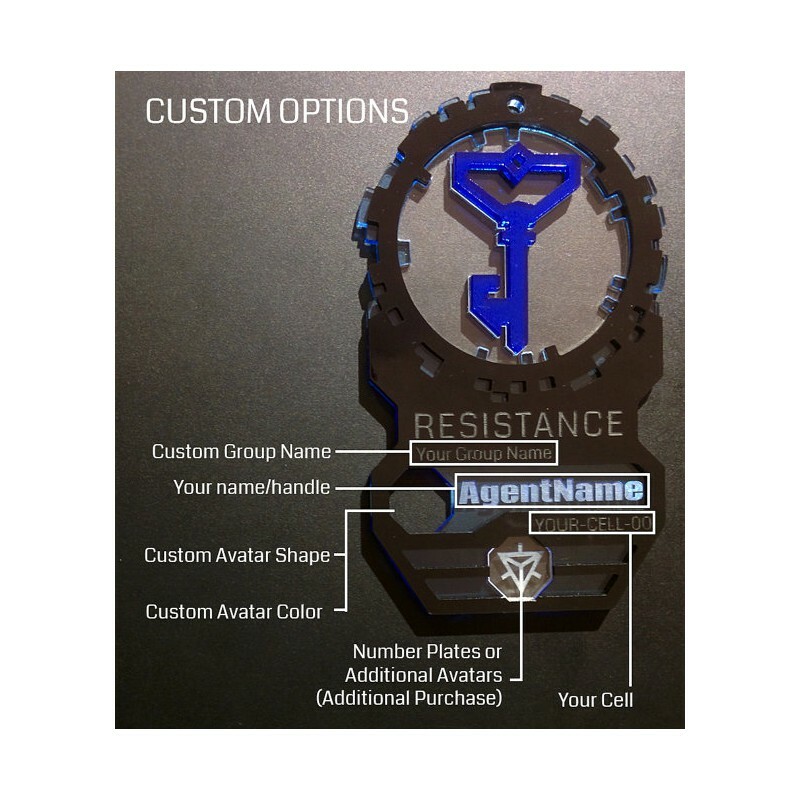 Be sure to type your Agent Name and other text out EXACTLY how you want it to appear on your badge. If you only want your custom name, the rest will be left blank. 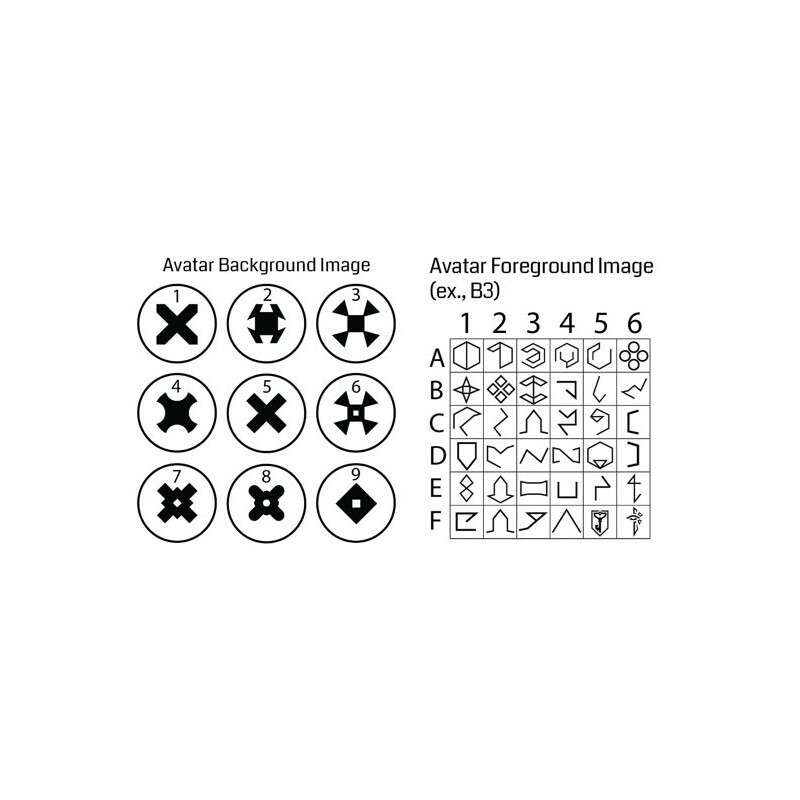 Specify the Avatar Background and Avatar Foreground shapes using the reference image above. 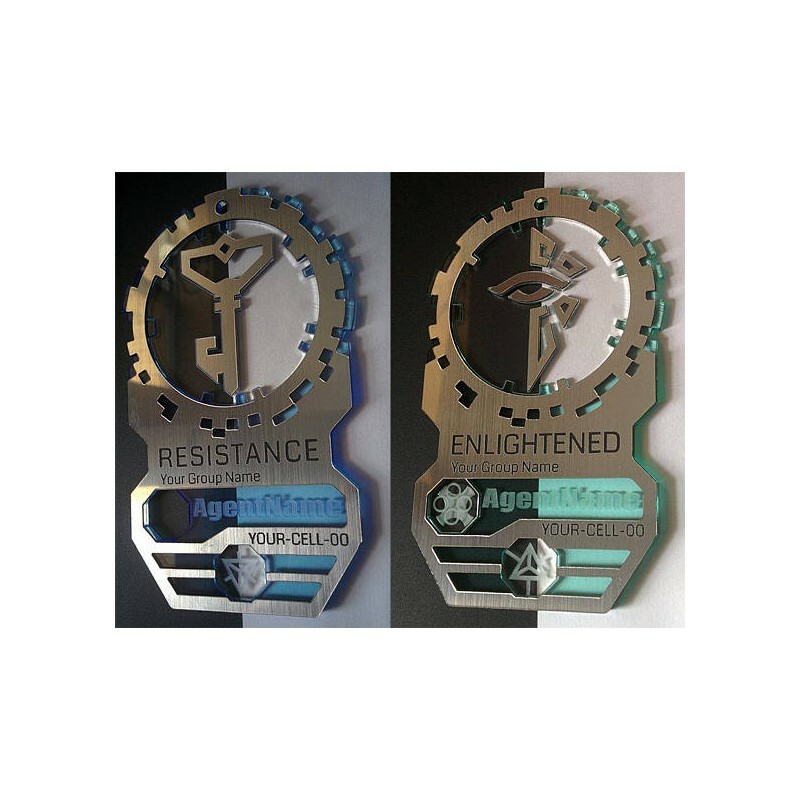 If you do not specify a custom Avatar, your badge will come with two ENL/RES emblem plates. PLEASE NOTE: Due to the build time and quantity of materials that these badges consume, be aware that orders may take up to two weeks to complete and ship. We will try to notify you if such a delay will occur. BULK ORDERS: Please contact me prior to ordering if you intend to place an order of 5 or more badges.